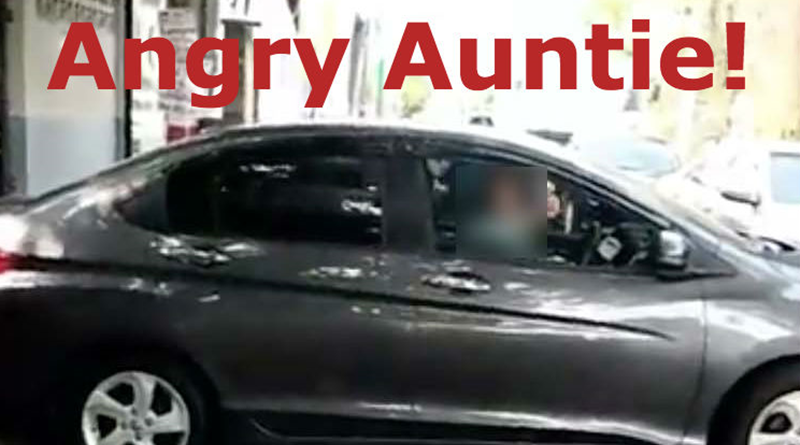 Angry auntie parked her car in the middle of the road to take a nap. An auntie parked right in the middle of a road in Bangkok and seemed to take nap for a few minutes. Traffic started to build up right away, when she was asked to move her car she started to yell at the other vehicles on the road. The incident was shared on Facebook by a user named Duangjai Piasukho on the 16th of this month. The post showed a video of a woman who appeared to be around 40 to 50 years old. 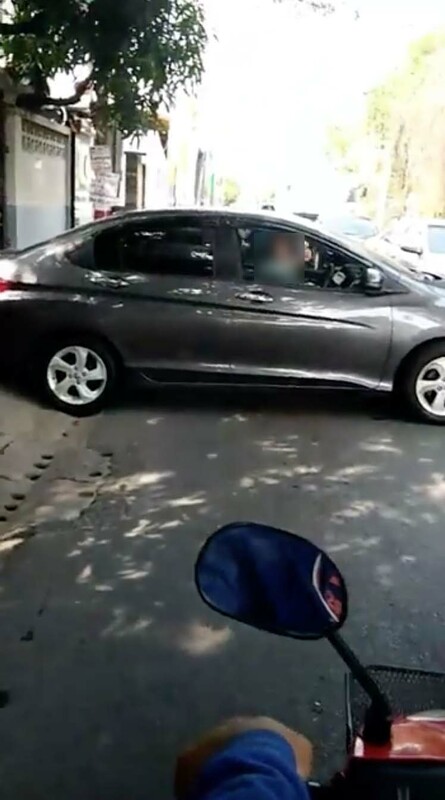 The woman was driving a car when she decided to park her car in the middle of the road in Ramintra 65. 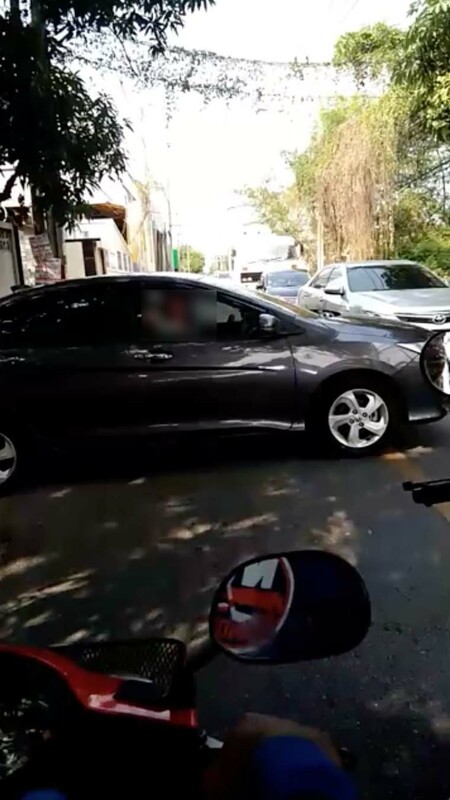 After traffic started building up as one full lane was blocked across by her car, she lowered her window and started pointing at other vehicles while screaming nonsense. 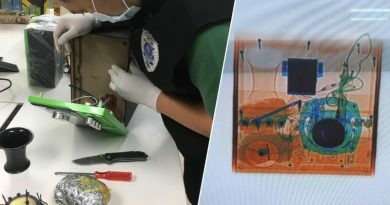 Surasak Suksawat reported that the incident occurred around noon when he was driving a motorbike with his girlfriend sitting behind him on the Ramintra 65 road. He drives through this road almost every day, but today there was a car parked vertically across the road, totally blocking off one lane making it impossible to drive through. After the woman parked her car, she rested her head on the car seat and appeared to be taking a nap. Few minutes passed by before she lowered her window and started pointing at random vehicles that were waiting for her to move her car so they could pass through along with screaming words that Surasak couldn’t tell exactly what she was trying to say. A man then came down from his truck to try and calm the women down, she finally gave in and moved her car back into where she came from. 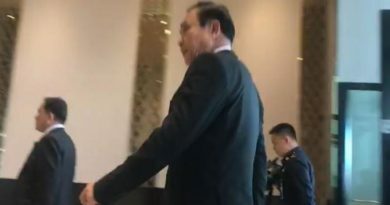 The Khan Na Yao district police have been notified of the incident and are searching for the women in the video. FB Caption: When traffic started to build up she lowered down her car window and yelled at other vehicles along with pointing her finger.